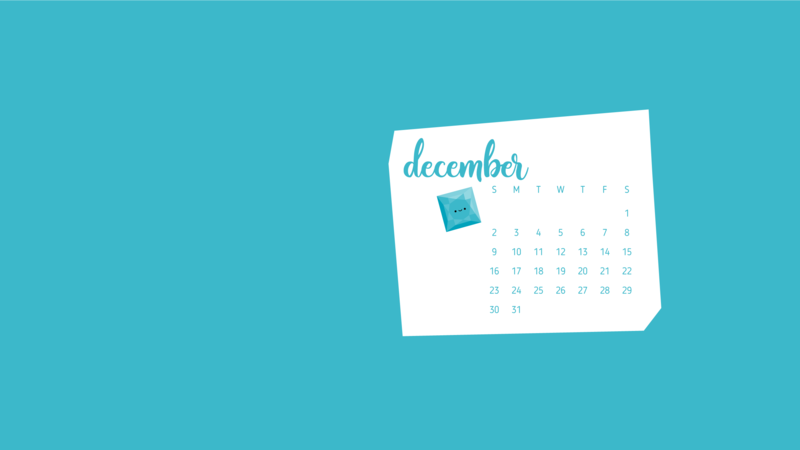 December is here, and that means we're at the end of these birthstone calendars. How can it be that a year could have passed? I'm just not sure. Even though it's December, this one isn't particularly Christmas-y, which I rather like. 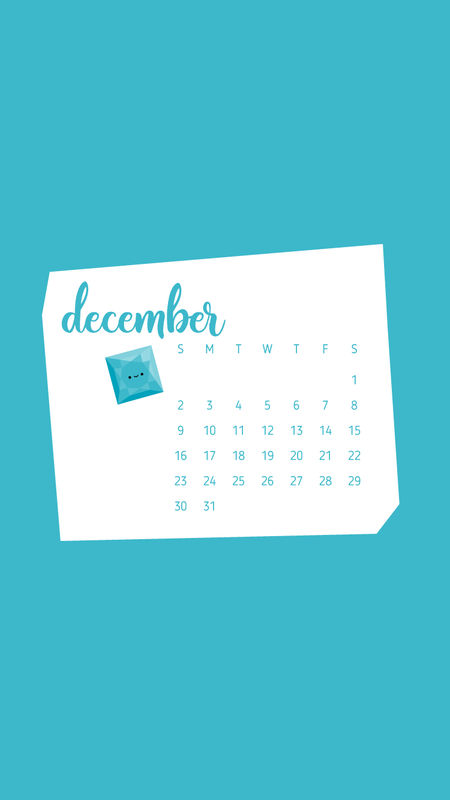 December has a few birthstone options, and most of them are blue. In this case, I chose blue zircon because it's a lovely teal color. And I made it a princess cut because, well, it's just a really pretty one and I love the lines in it. 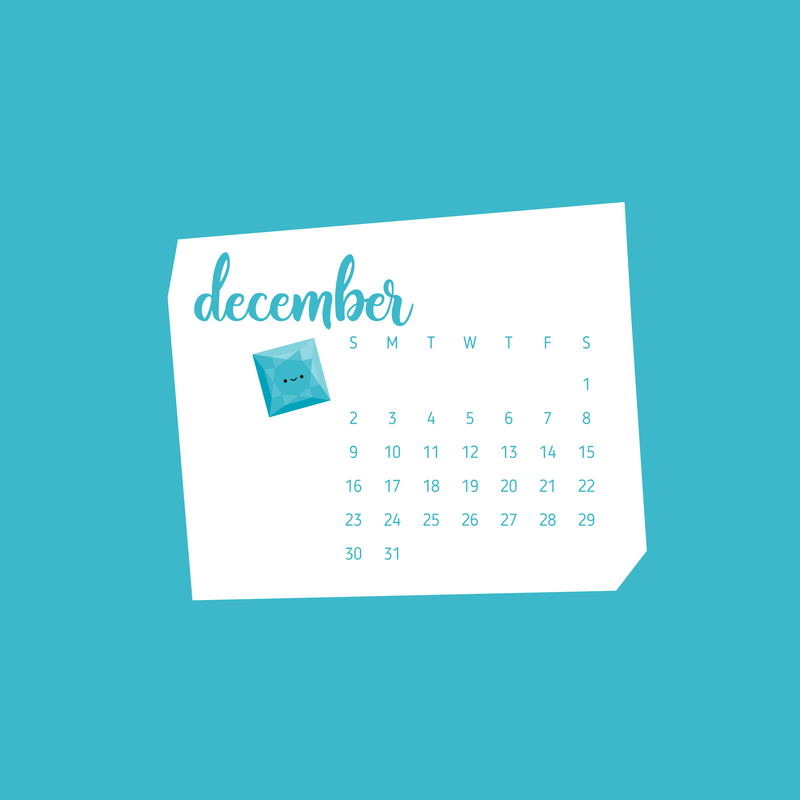 Now, add one of these to your favorite device for December while I start thinking about what might be on the calendars next year!